Here at Wedding Flowers Guide we have a wealth of information on how to achieve your perfect wedding flowers. You’ll find advice, photos and videos to help you make some choices about your perfect wedding flowers. You may be theming your flowers around a colour scheme, season or simply your favourite flowers. 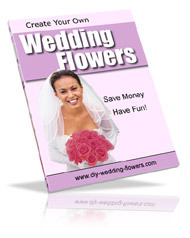 Whatever you’re looking for I’m sure you’ll find some helpful tips and ideas on our main wedding flowers site. If you are looking for our latest news, the hottest designs or want to find out what help and advice we’ve been giving our visitors, then why not have a browse through our blog. My name is Cindy and I’m a professionally trained florist and I own my own florist business specialising in supplying wedding flowers to brides. So you can be assured that all the information, tips, photos and advice on this site is genuine. I have years of experience of producing perfect wedding flowers for couples on their very special wedding day. But don’t take my word for it here are a few comments from my recent brides. “I have never seen anything like the flowers I had. Classic, elegant and truly stunning. I have had countless comments from my guests about the quality and ‘wow’ factor of the flowers”. “Absolutely beautiful all our guests made wonderful comments. They looked like something out of a magazine”. “I thought that the flowers were stunning and were everything that I dreamed they would be. Your service was faultless and it was a pleasure meeting you. I will definitely recommend you to all of our friends”. "The flowers were beautiful. Cindy listened to my ideas and budget and delivered perfectly."